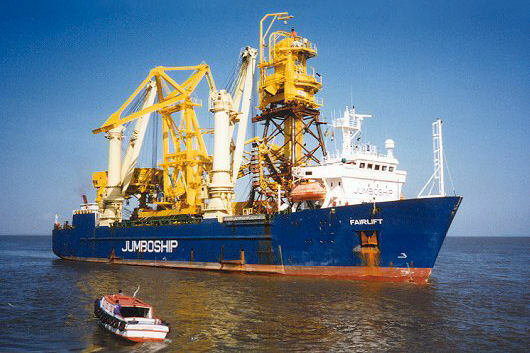 A 2,000 t/hr bauxite shipunloader was delivered to the Alunorte pier in Vila do Conde, Brazil, in September 1996. This shipunloader, designed by Italimpianti and built by Sade Vigesa, had been erected at the Verolme yard in Angra dos Reis, Brazil. For the ocean transportation, the heavy-lift ship FAIRLIFT, owned and operated by Jumbo Navigation N.V., was contracted. 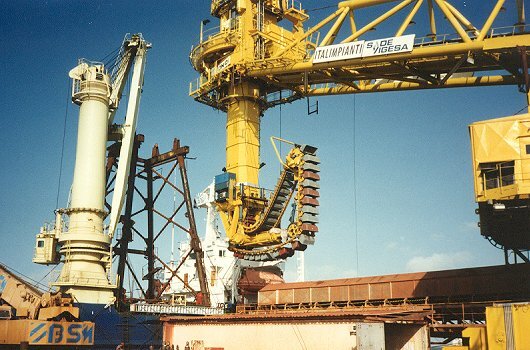 The bucket elevator type shipunloader, weighing approximately 1,100 t, was disassembled and its three major parts were lifted onto the heavy-lift ship using the Verolme gantry crane. Each part was then secured for the voyage using Jumbo's standard slings and turnbuckles. On August 19, the seafastening operation was completed and the FAIRLIFT departed. Early morning on August 27, the ship arrived at the offloading pier in Vila do Conde. 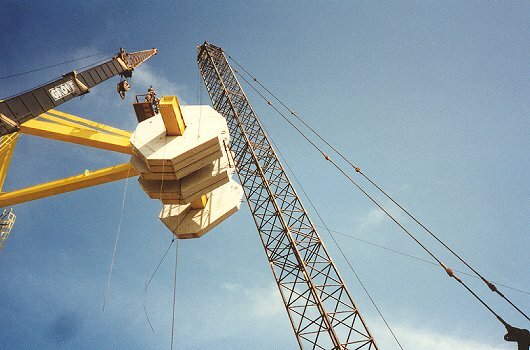 Immediately upon arrival, the lashings of the gantry were removed and the gantry was lifted from the ship onto the quay rails, using the FAIRLIFT's aft crane. After preparation of the 8 meter diameter ball bearing, the 335 t upper part was lifted from the ship and positioned onto the gantry. 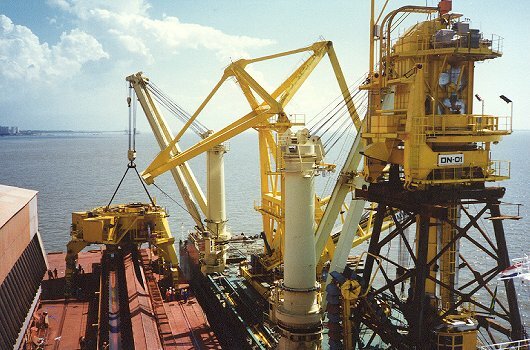 For this lift, both ship cranes with a combined lifting capacity of 650 t were used. The FAIRLIFT then shifted towards the end of the pier, after which the shipunloader boom was connected with the bucket elevator, still stowed on the ship's deck. The concrete counter weight blocks as well as the two tie rods were installed, using a mobile crane. 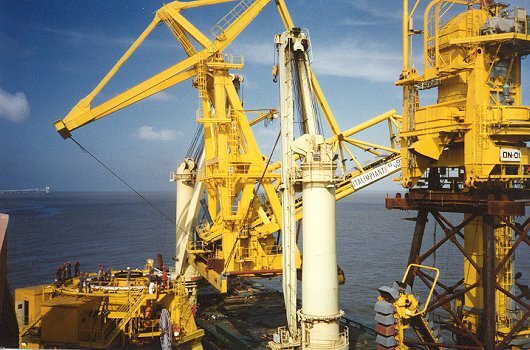 Upon completion of the counter weight installation, the shipunloader was able to safely lift the bucket elevator free from its support structure on the heavy-lift ship. Argonautics Marine Engineering, Inc. was hired by Sade Vigesa to assist with the transportation engineering and on-site assistance of the loading and offloading operations. ■ On-site assistance during loading, internal seafastening, and offloading/assembly operations.